Thirteen days and nearly 600 soil samples later, we’re back from our last trip to Wyoming. The trip was a huge success! 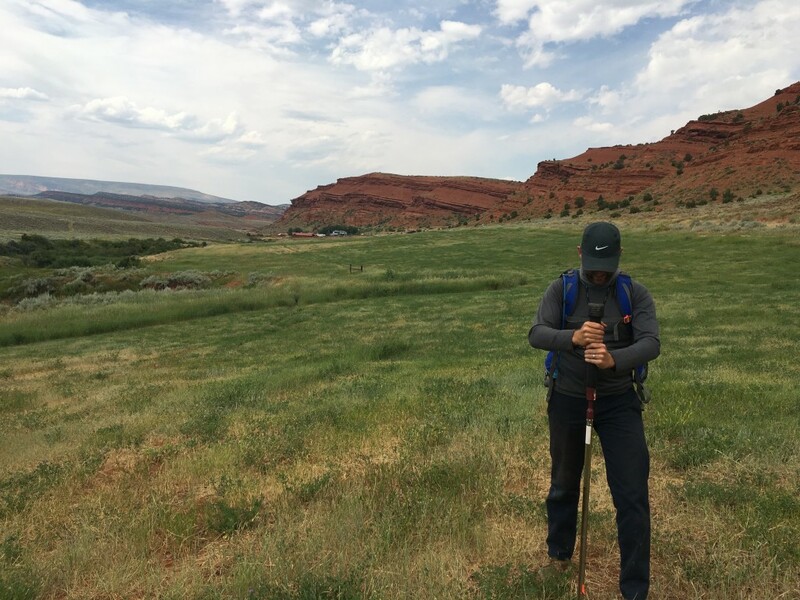 We started at Ten Sleep Preserve, where I left off earlier in July, taking three days there to sample an area of the preserve that is still grazed by cattle. I was struck again by how much soils there could vary over small distances! 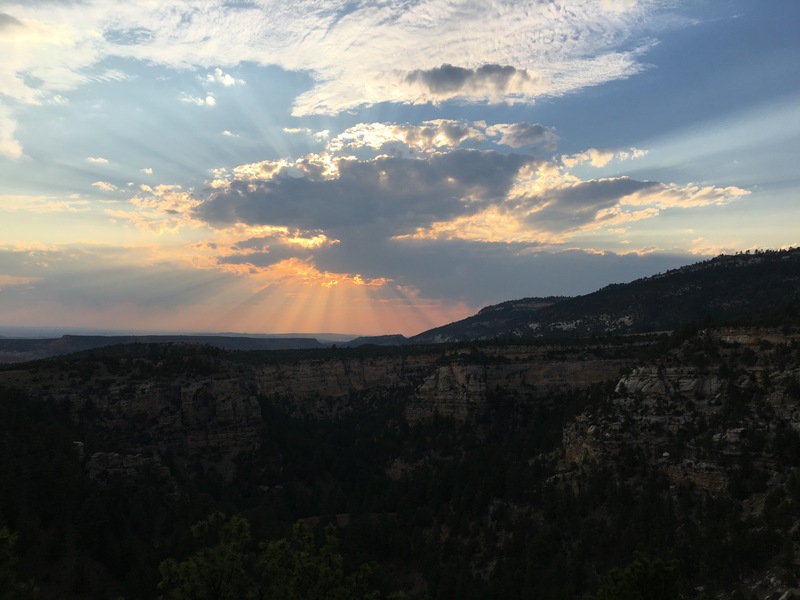 After work, we took the chance to see some of the beautiful scenery at the preserve, including an amazing sunset over the canyon that runs through it and a galloping herd of pronghorns we spooked while driving back to our tents (see the video). From there we went to Red Canyon Ranch, a 50,000-acre ranch at the foot of the Wind River Range managed by The Nature Conservancy. Through its center is a canyon carved out of Chugwater Formation, a red sandstone that erodes easily but generates deep, productive soils. TNC has started combining their herd with neighboring ranches and sharing acreage. This strategy allows them to graze at higher animal densities but for fewer days on each parcel, an approach that can improve soils and rangeland productivity. 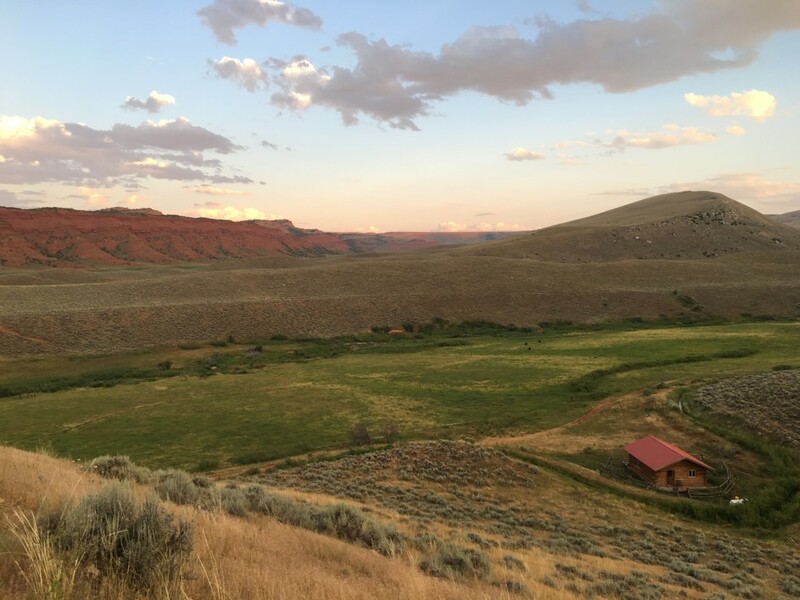 Red Canyon Ranch was, of course, far too large to sample in its entirety, so we focused on the canyon and some higher elevation pasture with completely different soils as a comparison. After Red Canyon we headed to yet another TNC property, Heart Mountain Ranch Preserve. 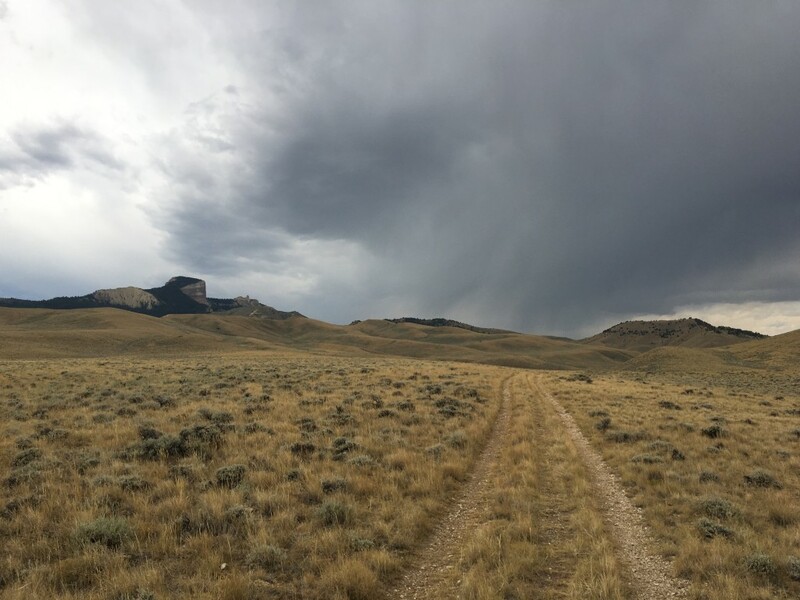 Located near Cody, WY, the ranch rises from flat sage brush rangeland with about 5 inches of annual precipitation to high mountain pasture with nearly 20 inches of annual precipitation. To a soil scientist, that means an amazing mix of soils to sample, and the views weren’t bad either, even when we had to retreat to the car to wait out a thunderstorm. 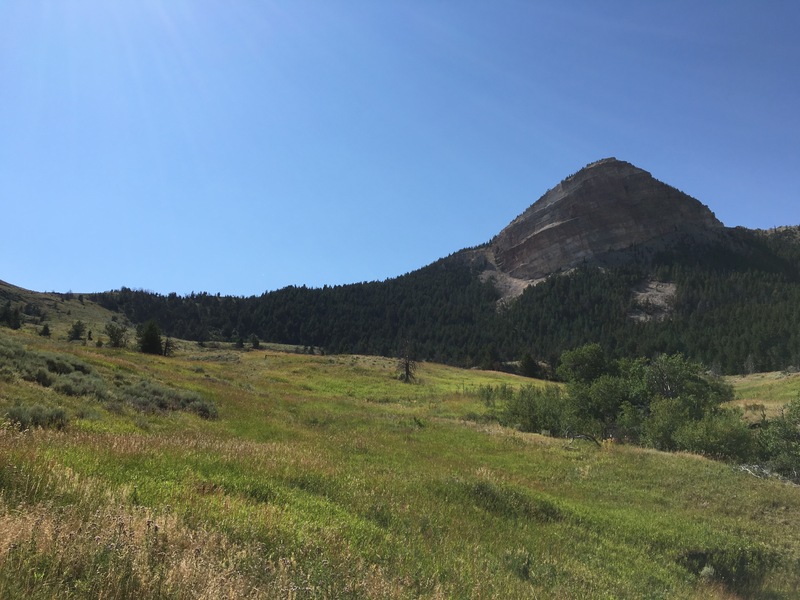 Finally, on our way back to Billings for our flight out, we took a few days to visit with ranchers working to improve their land through more strategic grazing and sample their soils. We even got the chance to go to a local watershed council meeting, a new experience for me. Listening to their observations and concerns gave me so much food for thought and a renewed sense of the importance of good management, especially as climate change threatens to change rangeland dynamics. I’ll be excited to visit with these ranchers again in the future and see what data we can share with them. Tired but grateful for an amazing trip, we flew home to CT. All that soil will certainly keep me busy this fall, but I’m excited to see what we’ll learn from it. This entry was posted in Grazing, Western Research Fellows, Western Resource Fellows, WRF 2016 and tagged Dan Kane. Bookmark the permalink.